is that charlize theron’s mouth? PYTHON REGIUS! If you look behind their tail you will see a vestigial pelvic girdle with hind limbs that are partially visible as a set of Spurs. I miss my pythons. Such beautiful and fascinating animals. 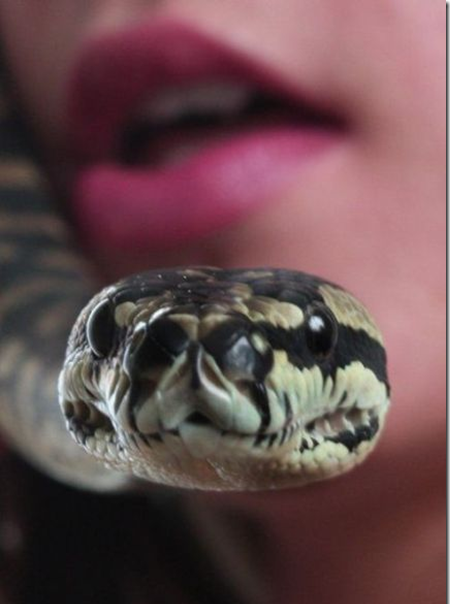 Dawwww pythons have the cutest darn faces! !